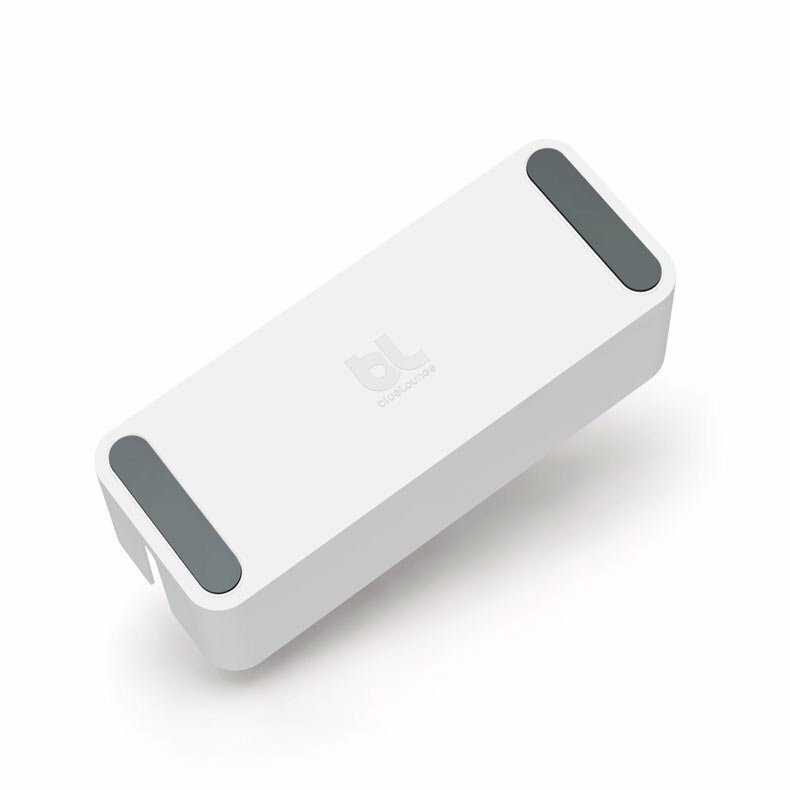 As with many of BlueLounge's products, the idea behind the Cable Box is extremely simple (the product doesn't even come with an instruction book). 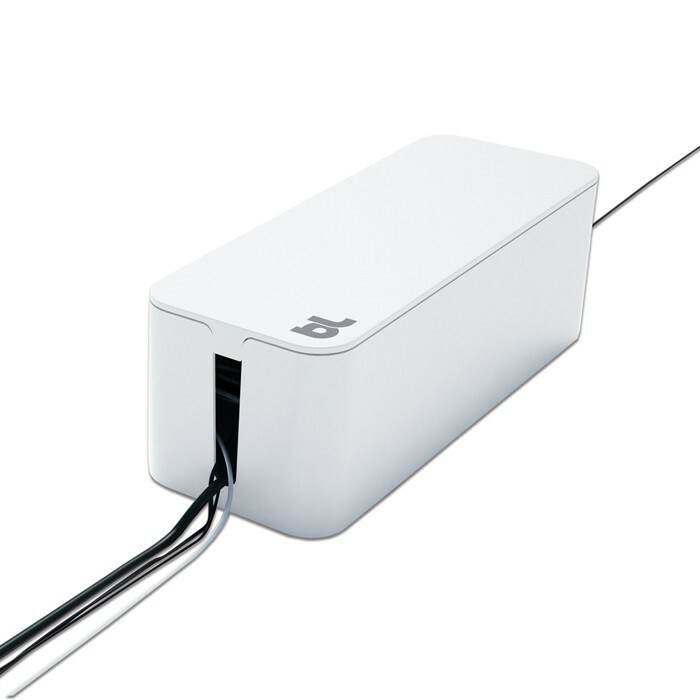 It's basically an ABS plastic box with a cover and two vertical slots for the cables to pass through. 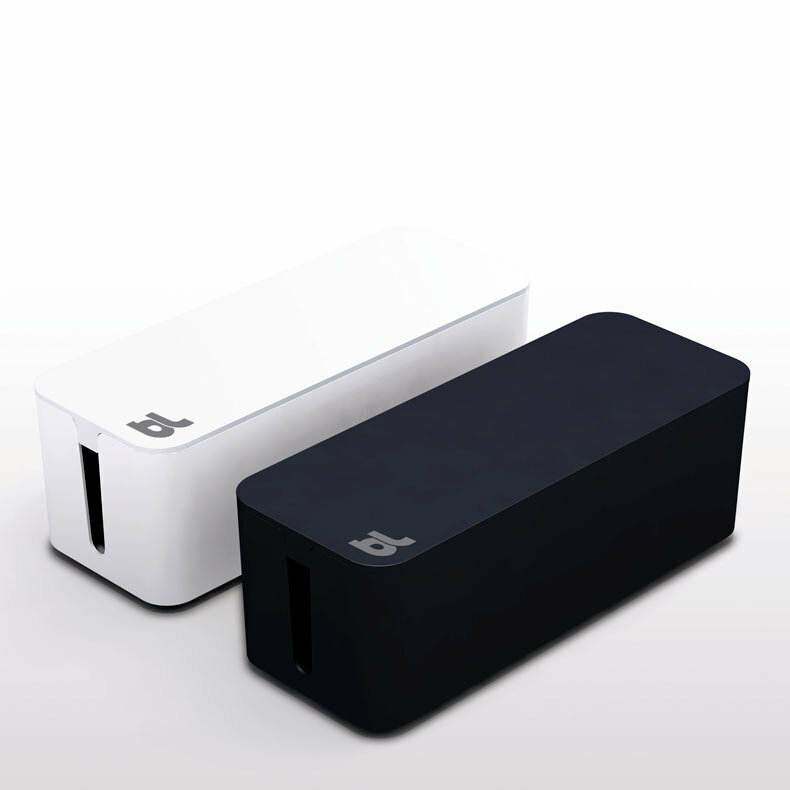 For the last two years, LaPaDD has been successfully selling the charger box by the German design house Ding3000. 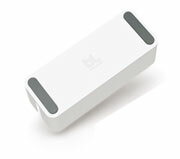 Made out of steel, it has a chic felt surface for charging small devices. 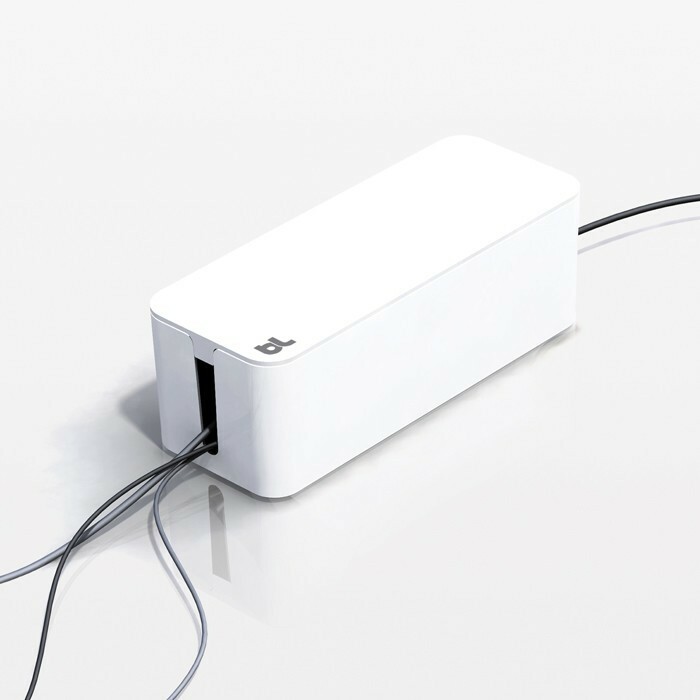 BlueLounge® conceived its CableBox using a slightly different approach that is much appreciated at LaPaDD. 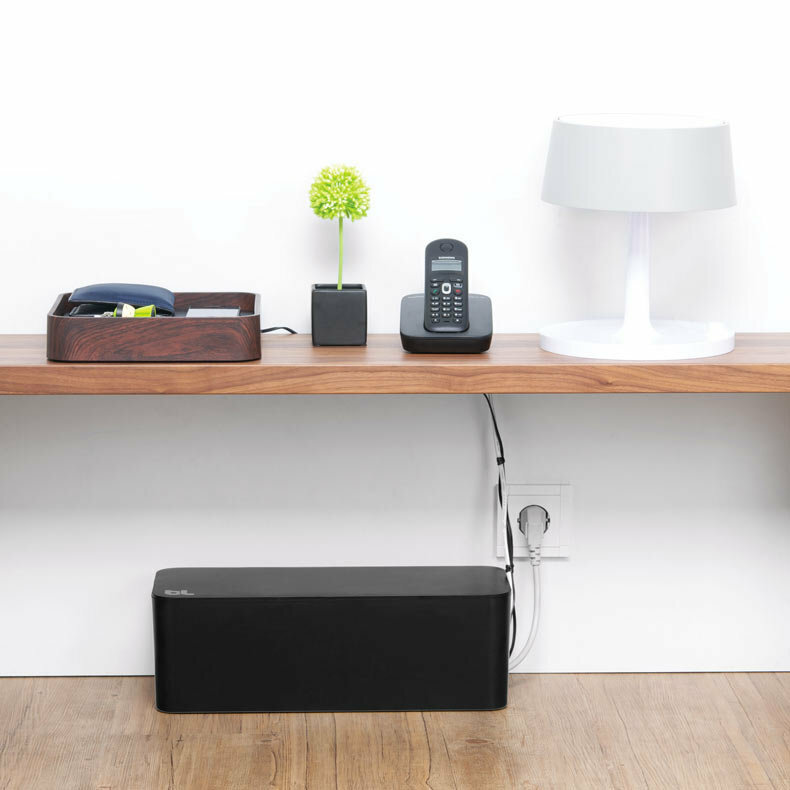 Instead of a charging station, CableBox is a way of hiding the scramble of cables and surge supressors in a clean and tidy box that is both stylish and discreet. 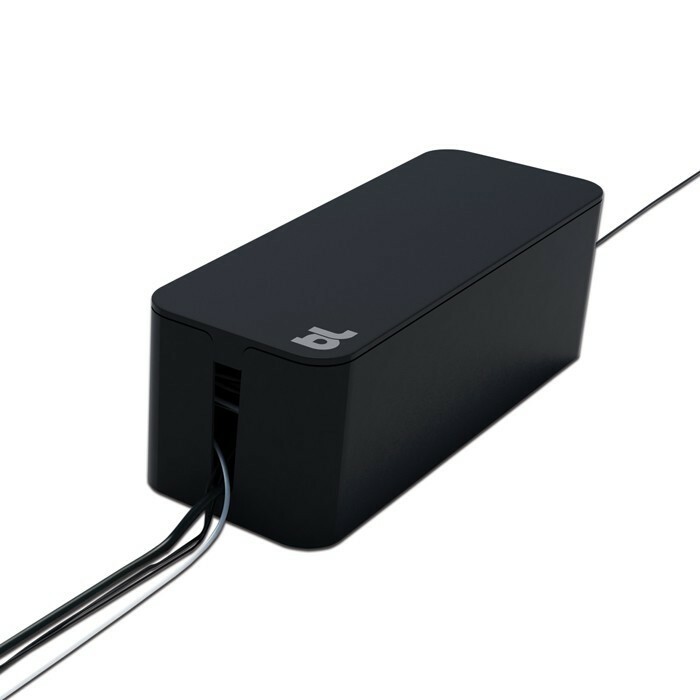 Much longer and thinner, the box elegantly covers up even the largest power strips, serving as an ideal companion for your entertainment centre or computer station (or both, seeing as how its getting harder and harder to have one without the other). So it's best for fixed electronic devices, as opposed to mobile and portable ones. To each his or her own...at LaPaDD, we like both! 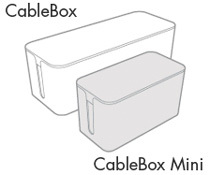 For smaller power strips and surge supressors, try the CableBox Mini, which will fit on your desk and can be used for smaller, more portable devices and transformers. 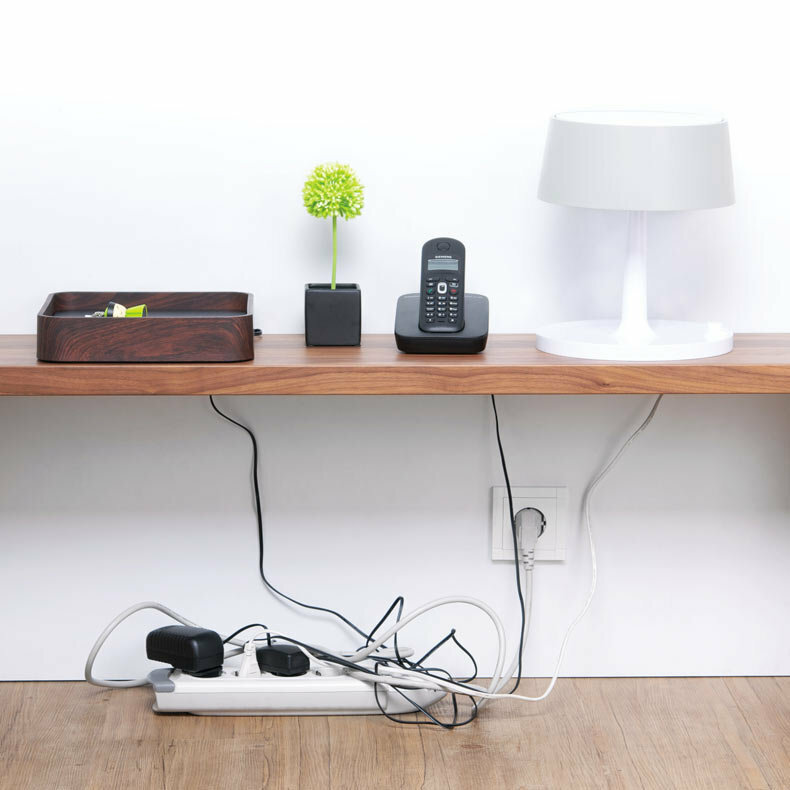 You can place what you want on top of either version, be it a modem, a mobile phone, or a reasonably sized electronic device. discreetly elegant - its svelte, narrow form fits behind furniture, on a shelf or a desk, and blends into the background. If you are obliged to leave it out in the open, you'll be able to appreciate the quality of its design and make .